"Milord, if that Chu Xuanyuan has truly already left the forbidden area, and his cultivation has also increased, wouldn't it mean that we will definitely be defeated should he join hands with the Linghu Heavenly Clan and attack us on two fronts?" Wuming Gangxiong grew very worried upon thinking of that possibility. In fact, he even felt despair. If it were only a single Linghu Heavenly Clan, then their Starfield Master Realm, with all of the resources that they'd gathered over the years, would be able to fight them. However, if Chu Xuanyuan were to join the fray, it would be difficult for them to handle. Wuming Gangxiong felt that if Chu Xuanyuan's cultivation had truly become more powerful than before, he, instead of the Linghu Heavenly Clan, would be the real terrifying opponent for them. "You don't have to worry about that. 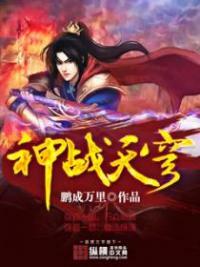 With Chu Xuanyuan's personality, it's impossible for him to join hands with the Linghu Heavenly Clan." "Besides, we have no idea what Chu Xuanyuan is planning. In fact, he is unwilling to even show himself." "However, that is also the reason why we cannot make an enemy out of the Chu Heavenly Clan before we are certain as to what Chu Xuanyuan's current cultivation is. Otherwise, we might push our clan into desperate straits," Wuming Fenghuo said. "If I hadn't come here this time around, you would've caused a major blunder," Wuming Fenghuo looked to Wuming Gangxiong. His gaze had turned sharp. "Milord, what sort of blunder might this subordinate have caused?" Wuming Gangxiong asked. "Do you think I don't know that you received benefits from the Fang Heavenly Clan and had set up that absurd match because of that?" Wuming Fenghuo spoke coldly. "Milord, this subordinate was wrong. Milord, please give me another chance." Wuming Gangxiong's expression changed enormously. He immediately knelt in midair and began to beg Wuming Fenghuo for forgiveness. "You can get back up. If I had wanted to punish you, I would've already done so." "Our Starfield Master Realm is currently facing a great enemy. It is no time for us to have internal strife," Wuming Fenghuo said. "Thank you Milord," Wuming Gangxiong immediately expressed his thanks and wiped away the cold sweat that covered his face. He was truly frightened earlier. The reason for that was because he knew Wuming Fenghuo's personality very well. Wuming Fenghuo was someone who truly hated his clansmen doing shameful things. In the past, he had crippled the cultivation of other clansmen because they'd colluded with other clans. Likely, Wuming Gangxiong was really only able to escape punishment because their Starfield Master Realm was facing the two great crises of the Linghu Heavenly Clan and Chu Xuanyuan. "The matter regarding Chu Xuanyuan is actually a secret. Normally, I wouldn't have told you about it." "Do you know why I mentioned it to you?" Wuming Fenghuo asked. 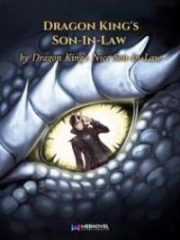 "Milord, please explain to this lowly one," Wuming Gangxiong clasped his fist respectfully. "While everyone in our Starfield Master Realm knows that Chu Xuanyuan is a threat, it does not mean that everyone knows how terrifying of a man Chu Xuanyuan is. The great majority of our clansmen view him with contempt." "As for you, you are one of the few people that know how terrifying Chu Xuanyuan is." "I've mentioned all of this to you because I have a task that I need you to complete," Wuming Fenghuo said. "Milord, please give me your instructions," Wuming Gangxiong said. "After you return to the clan, go and find the six great lords. If you are able to directly inform Lord Fieldmaster, it would be the best." "Tell them that I have met Chu Feng. That child's talent is exceptional, and surpa.s.ses that of Linghu Hongfei. In fact, his talent is not inferior to Chu Xuanyuan's from back then." "There must be a reason why Chu Feng has appeared. I suspect that Chu Xuanyuan has already left the forbidden area and returned to the Ancestral Martial Starfield with Chu Feng." "Chu Xuanyuan likely swindled us when he was expelled from the Chu Heavenly Clan and imprisoned in the forbidden area." "If what happened back then was truly a sham, the current Chu Xuanyuan is most definitely stronger than back then." "Furthermore, this time around, he is hidden, whereas we are in the open." "Fortunately, it seems that man is not planning to wage war against us. As long as we do not attempt to provoke him again, he might really leave our clan alone." "Thus, we must warn our clansmen that they must not make things difficult for the Chu Heavenly Clan or Chu Feng again. 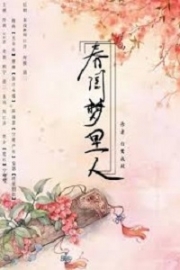 During the time when we are confronted with the Linghu Heavenly Clan, we absolutely cannot make an enemy out of the Chu Heavenly Clan," Wuming Fenghuo said. "I will naturally mention this matter once I return to the clan. However, I have things that I must do right now," Wuming Fenghuo said. "This subordinate understands now. Milord, please rest a.s.sured, I will do my best to explain your intentions," Wuming Gangxiong vowed. Wuming Gangxiong was not saying those words for show. Instead, he was very earnest. Although Wuming Gangxiong was a vicious, merciless, avaricious and unrighteous individual, he was very loyal and devoted to the Starfield Master Realm. He had witnessed Chu Xuanyuan's strength in the past, and knew very well how terrifying he was. Thus, he knew about the significance and consequence of Chu Xuanyuan leaving the forbidden area and returning to the Ancestral Martial Starfield. Afterwards, Wuming Fenghuo called Wuming Gangxiong's attention to some other matters. After that, Wuming Gangxiong led the people from the Starfield Master Realm and left. Wuming Fenghuo was not planning to leave directly. He stood where he was and glanced at the vast starry sky that surrounded him. He seemed to be searching for something. The reason why he was acting like that was because he was afraid of a person. As for that person, it was Chu Xuanyuan. There was one thing that Wuming Fenghuo did not mention to Wuming Gangxiong or anyone else of his clan. 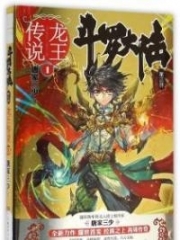 Personally, he felt that the current Chu Xuanyuan had reached a state of cultivation that stood above all the powers and individuals in the Ancestral Martial Starfield. He feared that even if the Starfield Master Realm were to gather the strength of their entire clan, they would still be no match for a single Chu Xuanyuan. Their Starfield Master Realm could offend anyone with the exception of that man. Thus, Wuming Fenghuo decided to do something absurd. He actually kneeled in midair. "Chu Xuanyuan, I do not know if you're present or not. However, I hope that you're present." "I wish to apologize on behalf of my clan. It was our clan's fault back then. However, you are also an intelligent and understanding man. Lord Fieldmaster is not only the master of our Starfield Master Realm, but he is also the clan chief of our Wuming Clan. As such, he must consider our entire Wuming Clan." "If you want the position of the Ancestral Martial Starfield's overlord, I know that our clan will not be able to stop you. However, I beg of you… please spare our clansmen, please allow us a path to life." Ridiculous. Wuming Fenghuo's action was not only absurd, it was also extremely ridiculous. As one of the Starfield Master Realm's Ten Great Experts, someone who stood high and above, Wuming Fenghuo actually said such humiliating words and did such humiliating things toward someone from the Chu Heavenly Clan. Furthermore, he did not even know if Chu Xuanyuan was present before doing it. Naturally, it was ridiculous. However, this also fully revealed how afraid of Chu Xuanyuan Wuming Fenghuo was. If one wasn't afraid of someone to an extreme degree, how could they do something so absurd? Furthermore, it was someone of Wuming Fenghuo's caliber that did something so absurd. Wuming Fenghuo was not only terrified of Chu Xuanyuan, but he was also very powerless at the moment. Whilst he knew how powerful Chu Xuanyuan was, not everyone in the Starfield Master Realm knew about it. Compared to the straightforward and upright Chu Xuanyuan, Wuming Fenghuo was more afraid of his clansmen, who believed themselves to be infallible, and considered everyone to be beneath them. He feared that those foolish clansmen of his would go and provoke the Chu Heavenly Clan again. Most of all, he was afraid that they would harm Chu Xuanyuan's son, Chu Feng. Back then, he had personally witnessed the scene of Chu Xuanyuan ma.s.sacring everyone because of Chu Feng. Because he had witnessed how furious Chu Xuanyuan was at that time, he knew very well how important Chu Feng was to him. Perhaps he might not bicker with their Starfield Master Realm because of what had happened back then. 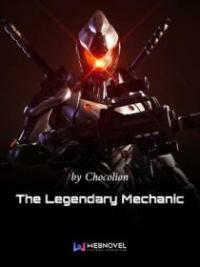 You're Read The Best Male God Chapter 1 online at NovelOnlineFull.com. You can use the follow function to bookmark your favorite novel ( Only for registered users ). If you find any errors ( can't read,broken links, can't load photos, etc.. ), Please let us know so we can fix it as soon as possible. And when you start a conversation or debate about a certain topic with other people, please do not offend them just because you don't like their opinions. You're reading The Best Male God. This manga has been translated by Updating. 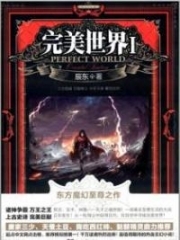 Author(s): 江湖不见. Already has 69 views. Current Time is 25-Apr-2019 06:48:06 AM.